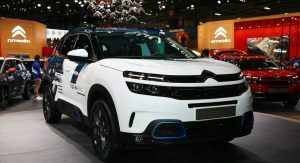 Citroën’s main exhibit at this year’s Paris Auto Show is the C5 Aircross SUV Hybrid Concept, a pre-production study for the brand’s first plug-in hybrid model. 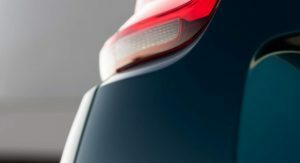 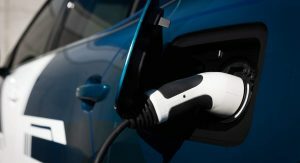 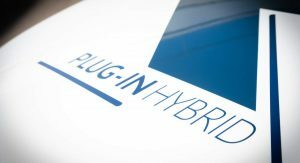 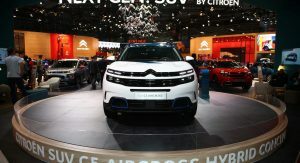 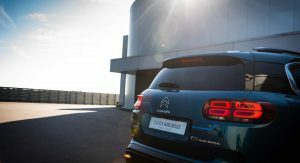 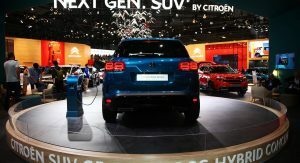 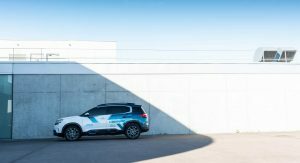 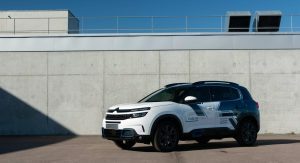 On sale from 2020, the plug-in hybrid version of the C5 Aircross compact SUV will feature the same powertrain as the concept, consisting of a 180PS (178hp) PureTech 1.6-liter gasoline engine and an 80kW (109PS/108hp) electric motor for a total system power of 225 PS (222 hp). 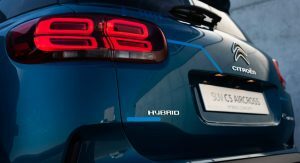 It’s the same front-wheel-drive hybrid setup found on Peugeot’s 508 Hybrid and 508 SW Hybrid, including the 13.2kWh lithium-ion battery. 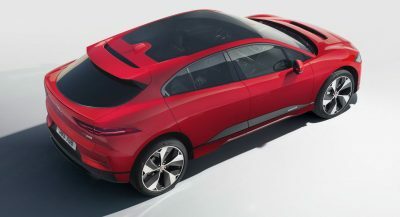 In Hybrid mode, both the internal combustion engine and the electric motor combine their power to transmit 225 PS to the front wheels, with 337 Nm (248 lb-ft) of instant torque from the motor also available. 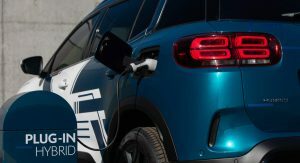 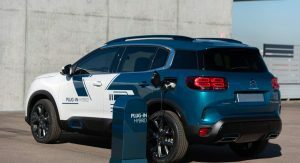 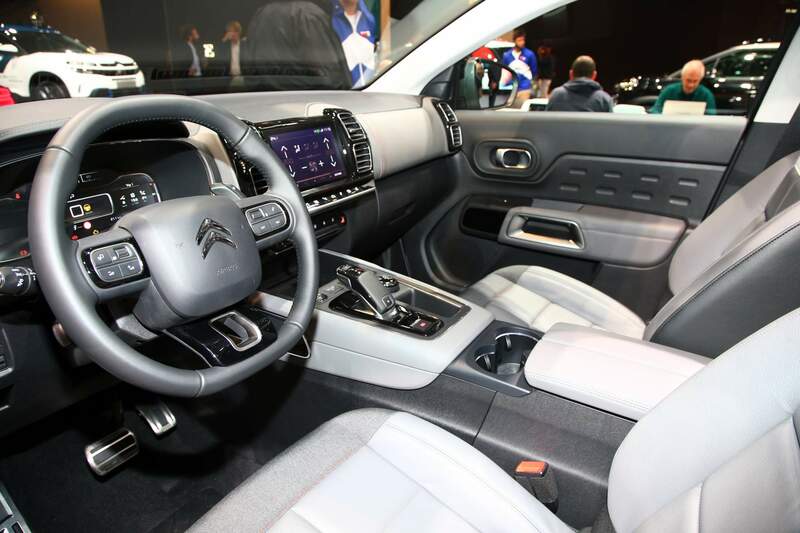 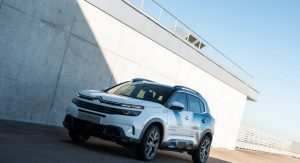 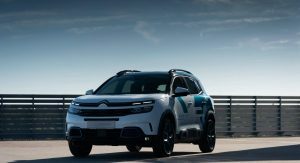 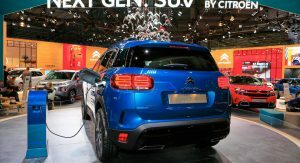 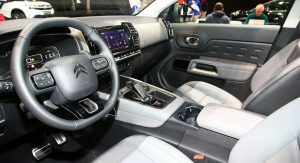 Citroën claims the SUV averages 2 l/100 km (141.2 mpg UK) and emits less than 50 g/km CO2, thanks in part to the i-booster system that recovers the energy produced during braking and deceleration and feeds it into the battery. 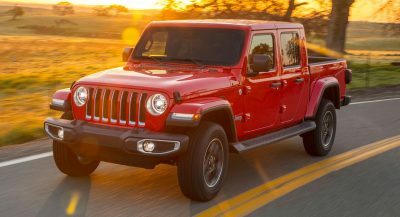 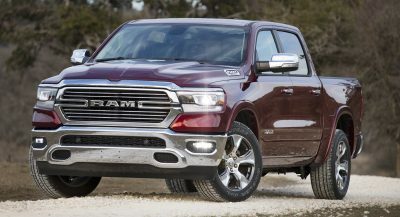 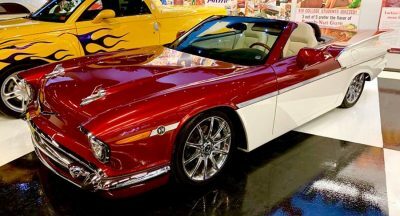 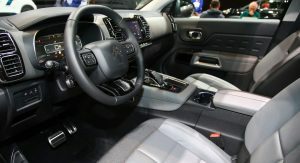 Finally, the drivetrain includes an eight-speed EAT8 automatic transmission that has been upgraded with optimized shifting and the addition of a brake mode that allows deceleration without pressing the brake pedal. 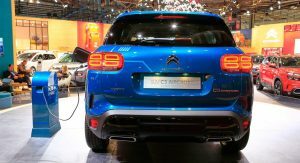 In electric mode (ZEV), the C5 Aircross Hybrid SUV can cover up to 50 km (31 miles) daily, at speeds of up to 135 km/h (84 mph). 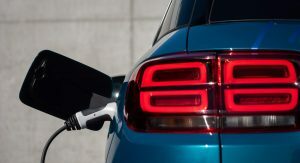 There is also a Sport mode for when the driver needs maximum performance from the powertrain. 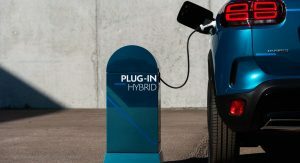 Charging the battery from an external source takes between 4 hours (14A) and eight hours on a standard socket, depending on the model of the socket. 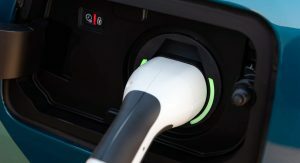 With a 32A wall box, the battery gets replenished in 2 hours. 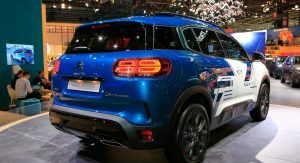 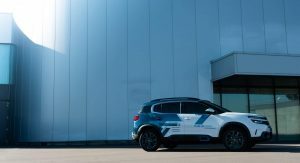 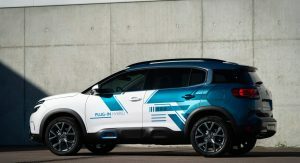 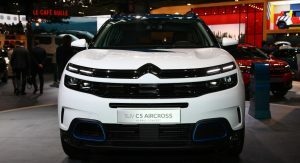 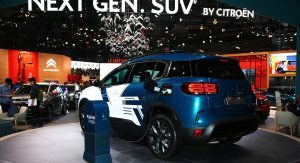 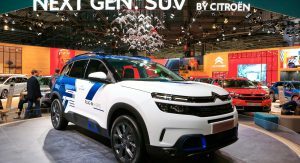 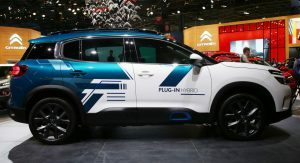 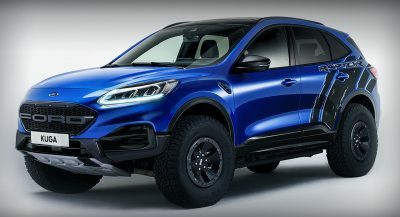 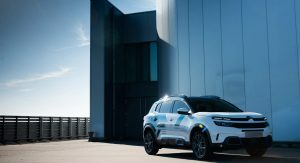 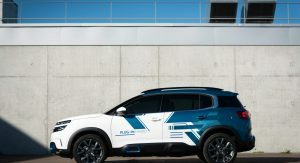 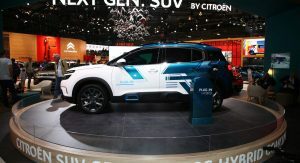 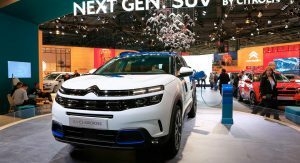 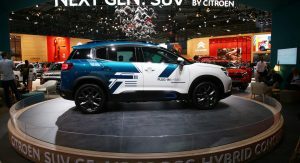 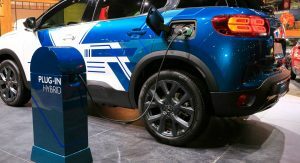 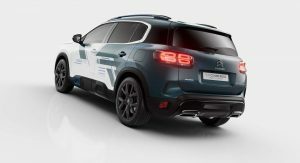 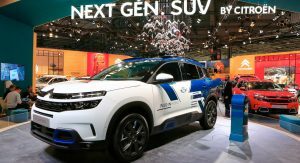 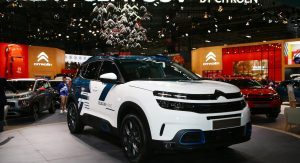 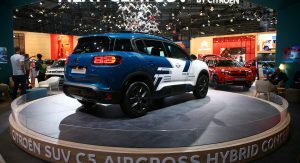 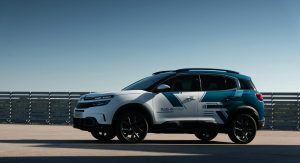 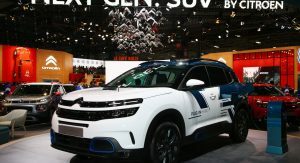 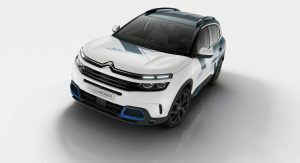 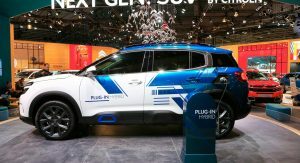 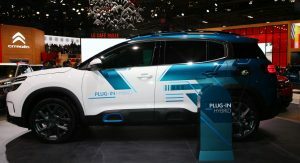 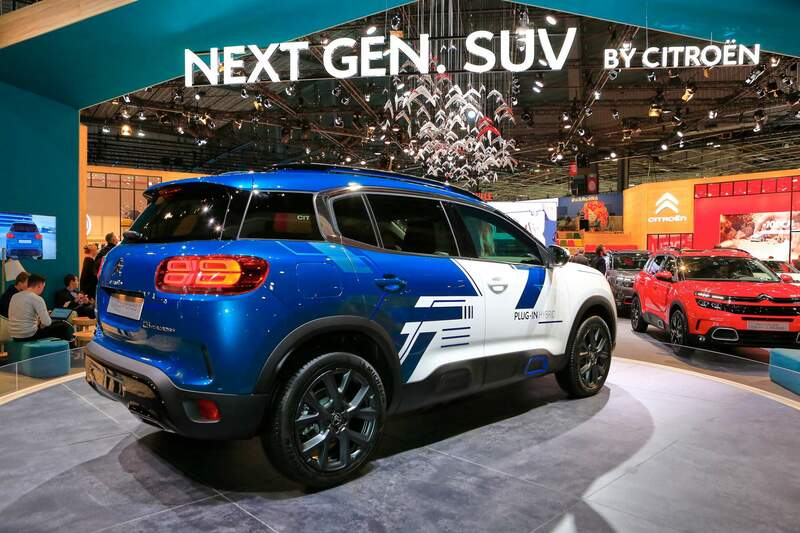 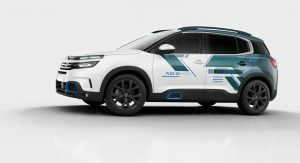 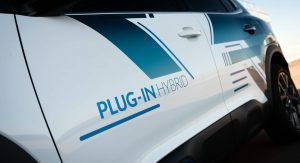 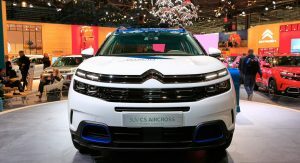 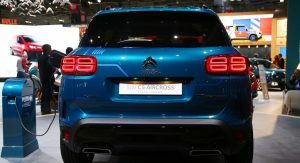 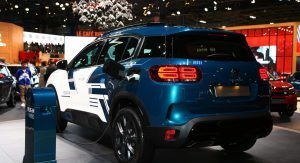 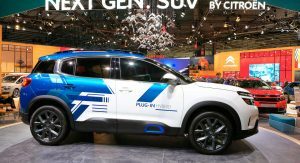 The C5 Aircross SUV Hybrid Concept on display in Paris features a special livery including White, Deep Blue, anodized Electric Blue accents, and graphic motifs suggesting electrification. 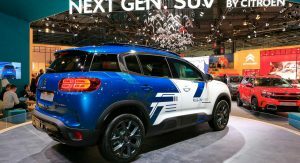 The SUV rides on 19-inch Anthracite alloy wheels. 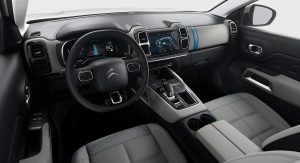 The two-tone white and blue theme carries over inside on the Advanced Comfort seats trimmed with beige leather and fabric, the dashboard strip in beige leather-effect fabric with electric blue highlight, and electric blue accents on the seat backs.